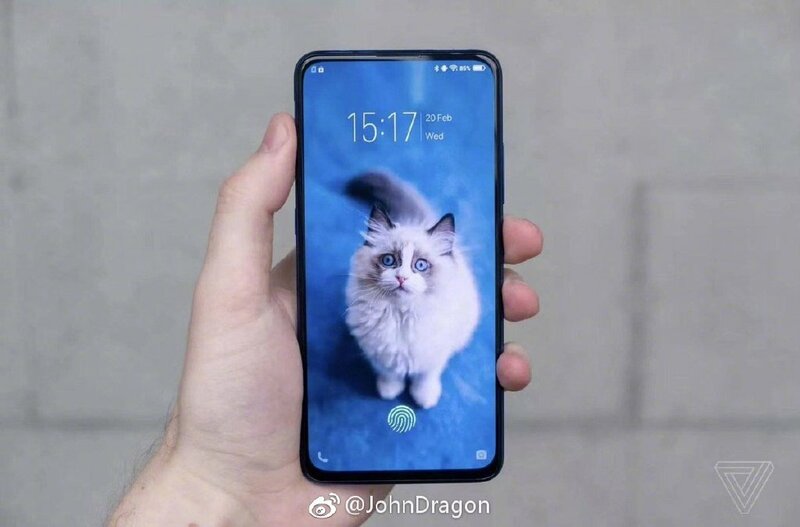 Vivo X27 Leaked Photos Reveal Design - Playfuldroid! The Vivo X27 is confirmed to get unveiled on March 19. The smartphone has recently appeared on TENAA with full specifications. However, the TENAA listing of the phone is yet to be populated with its images. 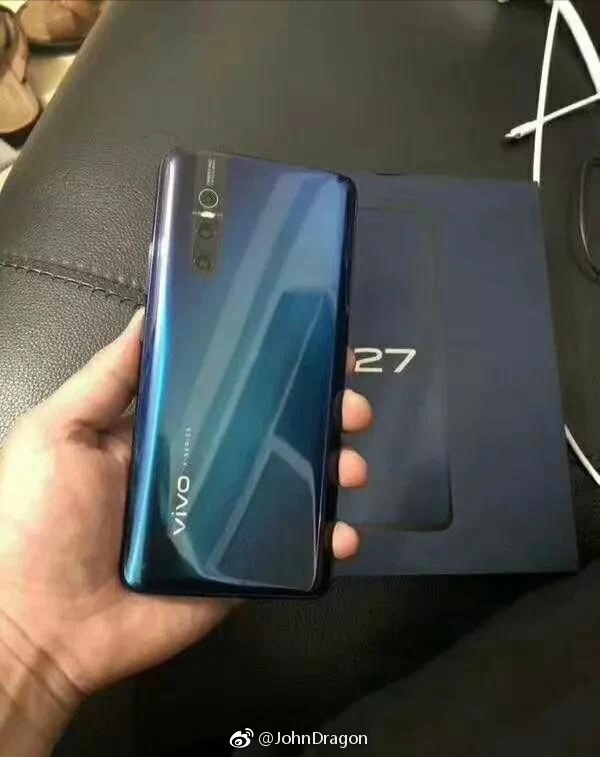 A couple of leaked photos of the Vivo X27 smartphone has appeared on Weibo to reveal that it will be resembling the Vivo V15 Pro phone that was recently announced in India. The front image of the Vivo X27 reveals that it is equipped with a notch-less screen. The handset carries support for in-display fingerprint scanner. Its bottom bezel is slightly compared to the remaining three bezels of the phone. The glass rear of the Vivo X27 appears to be curved towards the left and right edges. A pop-up selfie shooter is available on the device. The back panel of the phone is fitted with a triple camera setup. It includes a LED flash between the first and second camera sensors. The company’s branding can be seen towards lower-left corner of the Vivo X27’s back panel. The Vivo X27 has a 6.39-inch S-AMOLED display that carries support for full HD+ resolution and in-screen fingerprint reader. It could be powered by Snapdragon 710 mobile platform and 8 GB of RAM. The X27 is expected to release in 128 GB and 256 GB storage options. 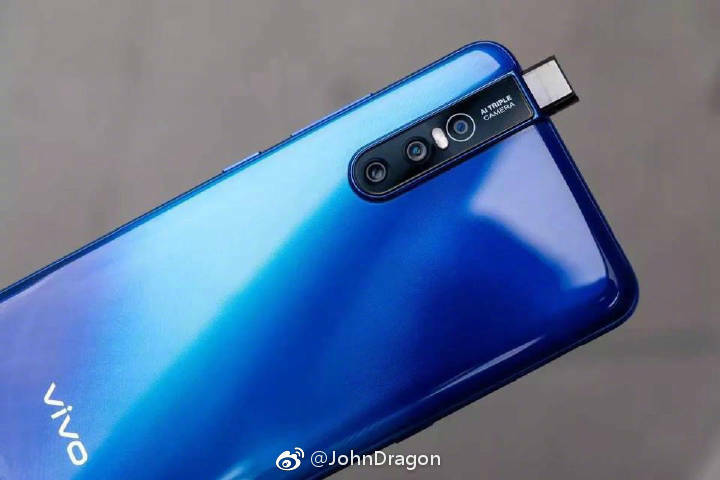 The triple camera system on the backside of the phone features a 48-meapixel primary sensor, a 13-megapixel secondary sensor and a 5-megapixel tertiary sensor. It will be equipped a 16-megapixel selfie camera. It may feature a 4,000mAh battery.